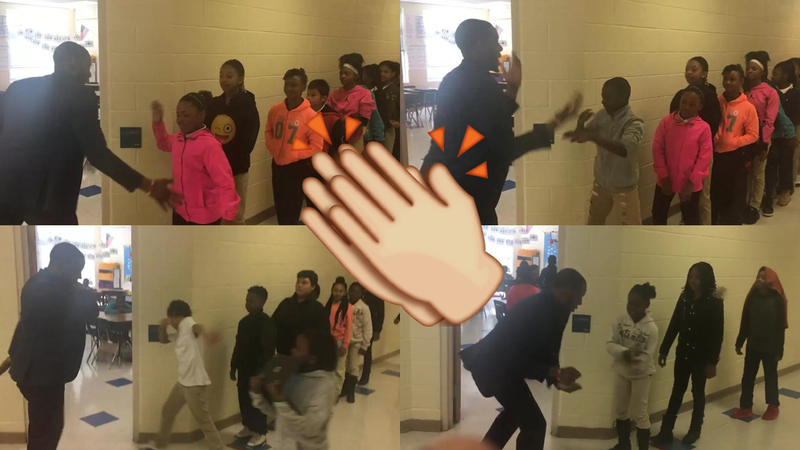 Watch cool teacher Barry White Jr. greet every student with a different, personalised handshake! How does he even remember these?! The award goes to Barry White, Jr. from the US, a fifth grade (Year 6) English teacher at Ashley Park PreK-8 School in Charlotte, North Carolina! Why? Mr White has a secret handshake for every single one of his pupils! Each one is different, with moves inspired by the student’s individual personality. “I started with one simple handshake last year with a 4th grader,” Mr White explained to ABC News. He was inspired by basketball player LeBron James who does the same thing with all his teammates! We’re just not sure how he manages to remember them all!